Carpet cleaning is a must-do. There is no two ways about it. This is because a clean carpet comes with loads of benefits. As in, clean carpets automatically translates to a clean and neat environment within your home. Clean carpets will not be the cause for any infection or illness. The aesthetic appeal of your home is augmented thanks to clean and fresh-smelling carpets. And yes, carpet odour is eliminated thanks to timely carpet cleaning. 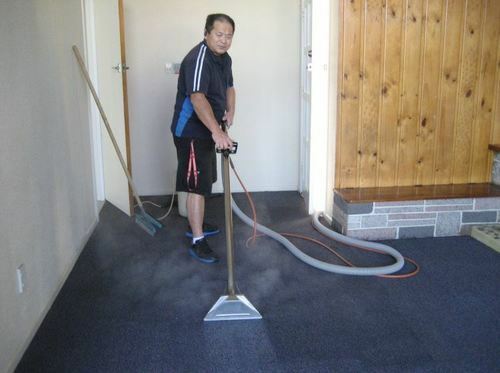 Now, if your carpets are dusty, stained, and dirty and has a lot of spill over, then a carpet cleaning is required. And if you are looking for an expert cleaning Service Company to undertake it, then Pinky’s Cleaning Services is best-suited. For an anytime carpet cleaning, steam cleaning and more, engage us.